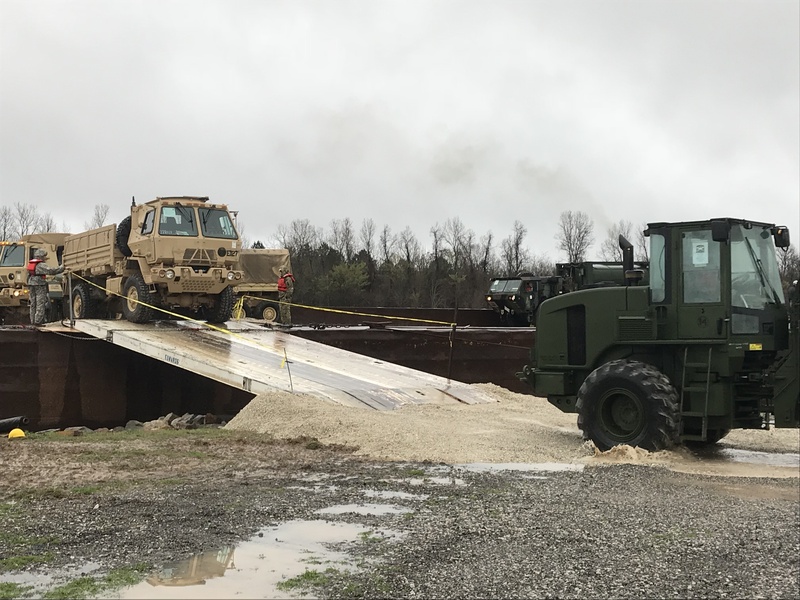 (February 26, 2018) The Central LA Regional Port (CLRP) is excited to announce its first military rotation since 2005. The rotation consisted of more than 700 military vehicles, trailers, equipment and artillery. 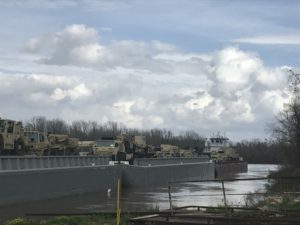 The CLRP has participated in multiple rotations and prior to Iraq War, held the distinction of the largest receiver and shipper of military equipment on an inland waterway in the continental U.S. The offload occurred on Sunday and Monday and all vehicles and equipment were offloaded in a record 9-hour window. 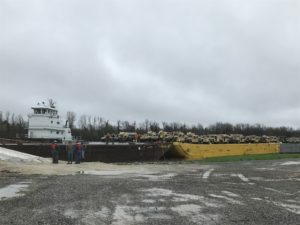 “We have been actively seeking a military rotation utilizing barge transportation, and this is a win-win-win situation. This win-win-win refers to benefiting the Port and our local economy, as well as Ft. Campbell and Ft. Polk.” Said Norman Welch, President of the CLRP Commission. 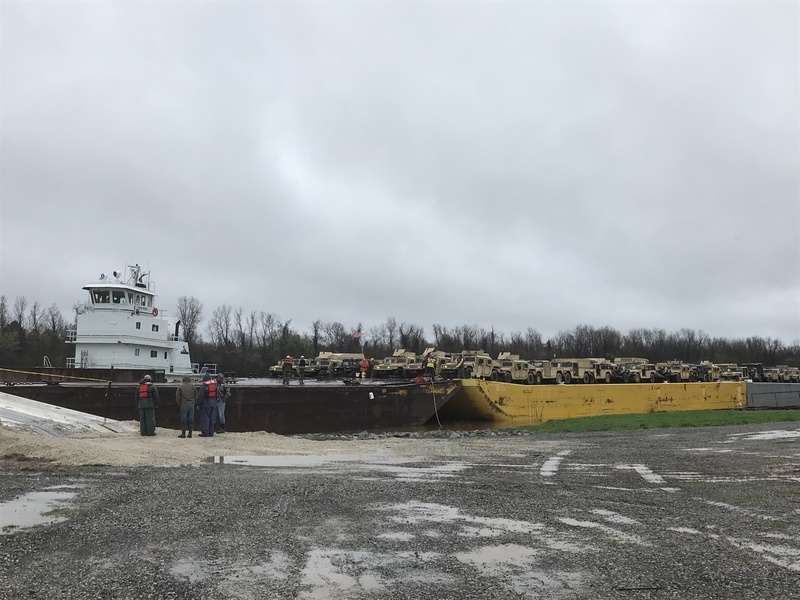 “In the past, military rotations through the Central Louisiana Regional Port played an important role in the development not only of the port, but of the Red River itself. The Red River Waterway Commission is pleased to hear of this current move. 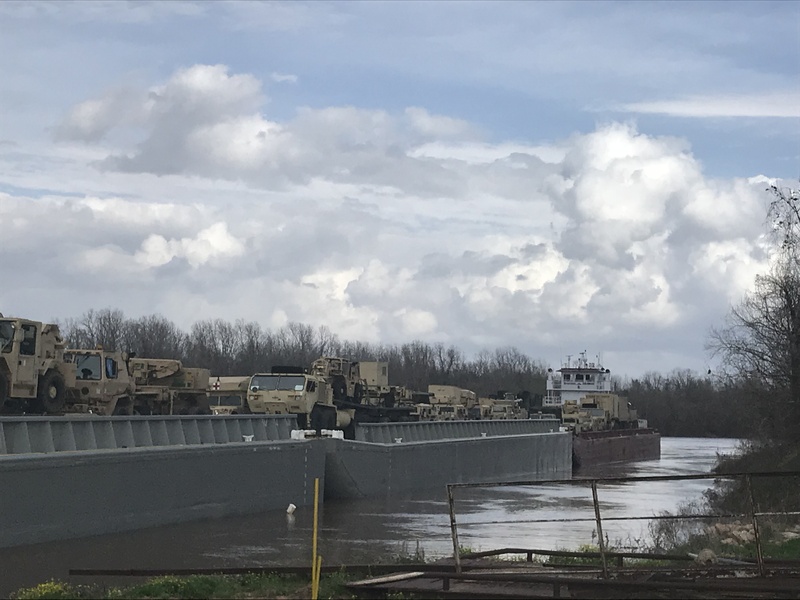 We are committed to our nation’s military and look forward to assisting the port in enhancing the relationship, hopefully resulting in additional military rotations in the future.” Colin Brown, Executive Director, Red River Waterway Commission. Created in 1988, the Port is located off US I-49 at mile 90 on the Red River. The Port provides access to Union Pacific and KCS Railroads, Interstate 49, U.S. Highways 71, 165, 167 and Louisiana Highways 1 and 28. Alexandria International Airport is located approximately 3 miles away. Primary cargoes include inbound and outbound fertilizer, military cargo, aggregates, citric acid, equipment, and bio- carbon and fuels. During the 2015 Regular Legislative Session, the Port was made a parish-wide entity and renamed as the Central Louisiana Regional Port Authority. The Port is overseen by a ten-member board appointed by the City of Alexandria, the City of Pineville, the Rapides Parish Police Jury, and the Town of Boyce.